Home Regulatory Compliance Wells Fargo: Corporate board lessons learned? For more than 150 years, Wells Fargo has been part of the US’s financial foundation. But on 2 February 2018, the bank suffered one of its lowest moments in corporate history. In an unprecedented move, the Federal Reserve publicly announced a first-of-its-kind enforcement action against Wells Fargo for its corporate governance failures and slow, if not glacial pace, of remediation. Perhaps not just a coincidence but 2 February was also the then-chairwoman Janet Yellen’s last day at the Federal Reserve. In a capitalist system, the government rarely, if ever, intervenes and shackles a corporate business from free and fair participation in the marketplace. Yet, in the face of a string of compliance disasters, culminating in dysfunctional corporate board governance and oversight of senior management and corporate operations, the Federal Reserve froze Wells Fargo from growing its business for at least a year, and possibly longer, while the bank implements governance improvements and risk management reforms. The message from the Federal Reserve to Wells Fargo, from the top to the bottom, was to clean up the company, improve your board oversight and senior management operations and enhance your risk governance capabilities. Until Wells Fargo does so, its business is frozen. The Federal Reserve’s action, blocking Wells Fargo’s growth, is perhaps the strongest condemnation of a company’s overall leadership and direction that the government can impose. There is clearly a complete lack of trust right now between the government and the bank. The genesis of this debacle began years ago when Wells Fargo implemented a controversial sales incentive programme for its community bank. The programme was built on the simple phrase ‘eight for one’, meaning the goal of each Wells Fargo sales representative was to sign up each customer for eight separate accounts, including individual retirement accounts, credit cards, certificate of deposit accounts, and other retail banking products. When the programme was designed and implemented, no one inside of Wells Fargo, at any level, raised a question about the risk of creating such an incentive programme. The CEO and the board later claimed that they were not aware of the programme nor did anyone ask their opinion of it. In a nutshell, the fundamental question has to be asked, ‘Why not?’. Wells Fargo did not need to consult with a risk and compliance programme specialist to understand the implications of the scheme. A sales incentive programme is built on incentivising sales and punishing those who do not meet the requirements. As I like to say, this was not a question of rocket science. This was a new programme that fundamentally called into question the board of directors’ commitment to its duty of care. If the board was not aware of the programme, that was a problem in its reporting and oversight of senior management. If the board was aware of the programme and approved it, that was a problem in its ability to assess risk and make informed decisions relating to the business. All in all, the Wells Fargo fiasco called into question the board of directors’ commitment to its duty of care. Looking back with perfect 20-20 hindsight, there are numerous questions to be asked, few that have been really answered, and more work that needs to be done to restore any semblance of trust between Wells Fargo, the government and its customers. 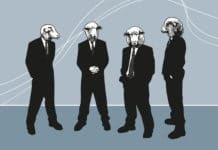 Wells Fargo’s sales incentive programme had the immediate and disastrous impact that one would expect – personnel created nearly two million (yes, two million) fake accounts to meet the eight for one stringent sales targets. At the same time, employees in the community bank’s division were being terminated at an unprecedented rate, totalling nearly 5,000 employees over the first five years of the sales incentive scheme. Consumer frustration grew into complaints to state, local and federal government regulators. The City of Los Angeles quickly responded and initiated an investigation and was joined by the US Consumer Financial Protection Bureau (CFPB). The Office of Comptroller of the Currency later joined the investigation. Wells Fargo employees complained about the sales programme and the resulting sales pressure and increasing misconduct, strong-arm sales tactics and outright fraud. In perhaps one of the most telling aspects of the fiasco, eight whistle-blowers who reported misconduct ended up being fired for raising concerns in the company and several have brought active whistle-blower retaliation lawsuits against the company. The CFPB and the City of Los Angeles settled with Wells Fargo for a penalty of $185million. The OCC entered into a consent order for the bank to improve its corporate risk and governance functions. In the face of these swirling corporate storms, the fundamental question is to be asked – where was the corporate board? What was it doing, if anything, to investigate and learn about this boiling problem within Wells Fargo? After much hand-wringing and delays, Wells Fargo’s board launched a major internal investigation of the incident, including serious issues raised about its handling of whistle-blowers. Former CEO John Stumpf, who denied knowing about the problems with the sales programme, has to answer for internal documents which show he was notified about the problem but failed to act. It is not clear whether Stumpf read the internal documents but there are real issues surrounding his knowledge and failure to act. 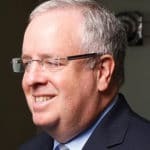 Furthermore, Stumpf has to answer for something he definitely did do – he allowed Carrie Tolstedt, the senior executive responsible for overseeing the cross-selling programme, to retire and collect a bonus of $124million. Stumpf has never answered for allowing this to occur after the scandal broke. Independent directors in April 2017 issued a scathing report around the Wells Fargo scandal. Based on its findings, Wells Fargo’s independent board took steps to clawback an additional $75million from Stumpf and head of community banking Tolstedt for sales abuses resulting from the sales programme. The independent directors found that the root cause of the sales practice failures was a decentralised management structure, coupled with an aggressive sales programme directed and controlled by senior management in the community banking operation. As a result, employees sold unwanted and even unauthorised accounts to customers to meet management sales targets. While the report lays blame in Wells Fargo’s decentralised management structure, a closer read shows how senior corporate executives, including Tolstedt, were able to resist oversight and accountability, while Stumpf and the board of directors failed to exercise proper oversight and accountability to uncover and prevent the disturbing sales practices, the termination of numerous employees for failures to meet stringent standards or engaging in misconduct to reach applicable targets. Stumpf, in the end, is called out on his failures to intervene, to blindly rely on Tolstedt, and avoid meaningful oversight and review of relevant information. Stumpf’s attitude was overly optimistic and reflected a wholesale denial in the face of real and serious questions about problems created by the sales incentives programme. His failure to act is perhaps the most damning portrait of all. Tolstedt is described, along with her executive colleagues, as a leader who resisted inquiries, management oversight and questioning of her authority. She deliberately misled the board by understating problems resulting from the cross-selling programme. The independent directors report, however, casts fair criticism on the risk management committee of the board, the nascent and immature oversight of risk within the bank and failures to delve into information about the number of terminated employees in response to the sales incentives programme. The risk committee’s failure to ask for basic information was highlighted by one simple and glaring omission – it never knew the number of terminations of employees, which was more than 5,000 and a major red flag, in response to the sales incentives programme, until Wells Fargo settled its initial enforcement action. 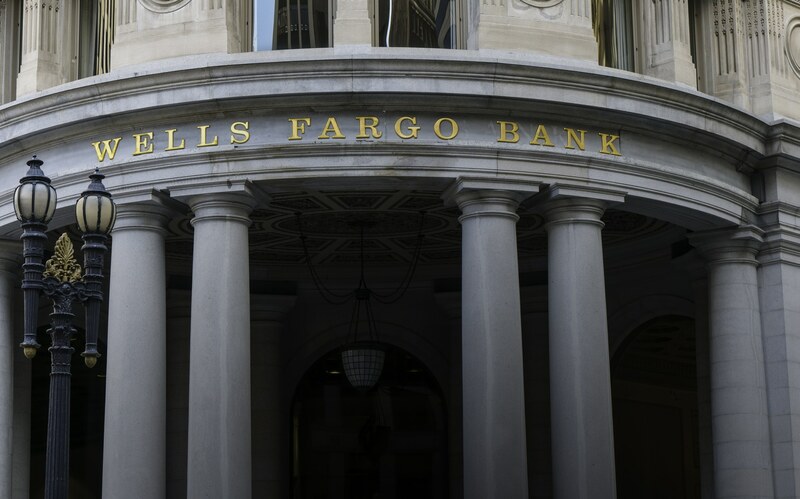 The Federal Reserve’s action now puts into place a comprehensive remediation programme that Wells Fargo must satisfy before being permitted to regain its status in the marketplace. The new Consent Order between Wells Fargo and the Federal Reserve sets forth a comprehensive plan for the bank to improve its board governance and its risk management and compliance function. The question is whether Wells Fargo can make a real commitment to change. Even with the commitment of a new senior leadership team, Wells Fargo’s cultural damage has occurred at every level of its operations – from branches to mid-level managers and to the C-Suite. Acknowledging a problem is one step but implementing wholesale change is another. 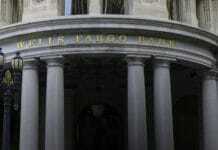 The Federal Reserve’s consent order requires Wells Fargo to submit three separate written plans. The first is to improve its board of directors’ effectiveness. The second is to improve its firm-wide compliance and operational risk management programme. The third requires Wells Fargo to conduct and complete by 30 September 2018 an independent review of its board’s improvements in effective oversight and governance and enhancements to its compliance and operational risk management programme. The list of requirements imposed on the board appear to be reinforcing basic corporate governance and oversight principles. It is a testament to how far the Wells Fargo board fell below basic governance performance. Many of you may brush these requirements aside as superfluous or unnecessary, but in the context of this scandal and Wells Fargo’s failure to act, these remedial requirements have to be satisfied before Wells Fargo can move forward. Wells Fargo stands as another testament to the consequences of ignoring ethics and compliance. The damage to its reputation is staggering and the ability of the bank to recover will depend on a sustained commitment to ethics and compliance and careful management of its business practices. In this situation, Wells Fargo would be wise to ensure that ethics and compliance considerations are given appropriate deference and consideration in the future. While we look through the rubble of past corporate scandals, it is easy to see how instilling business ethics would inform corporate governance and protect a company from deviating from corporate governance norms. I am consistently amazed at how so many large companies with successful business records ignore the value and necessity for business ethics and compliance. 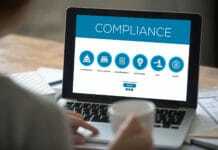 A culture of ethics and compliance is an invaluable asset and very few companies have demonstrated a commitment to ethics and compliance as a long-term strategy for financial sustainability. Wells Fargo’s corporate culture was premised on circling the wagons and managers responded with defensive denials, almost a groupthink of delusions. Its culture did not embrace reports of wrongdoing but punished those who raised concerns in order to continue with a culture premised on a misunderstanding and paranoid strategy of preservation. Building a new culture can only be done with the commitment of the board and senior management. To implement such a new approach, the board and senior management have to empower and unleash independent ethics and compliance functions to follow through on their commitment. Such a process will take years of hard work, acceptance and commitment. Whether Wells Fargo can accomplish such a task remains to be seen. Mike Volkov has over 30 years of experience in practicing law. A former federal prosecutor and veteran white-collar defense attorney, Mike is an expert in compliance, internal investigations and enforcement matters. Mike was a federal prosecutor for over 25 years, and has extensive trial experience in federal court. He also served as chief crime and terrorism counsel for the Senate and House Judiciary Committees. Mike maintains a highly popular FCPA blog – Corruption, Crime & Compliance. He is a regular speaker at events around the globe, and is frequently cited in the media for his knowledge on criminal issues, enforcement matters, compliance and corporate governance.